**COMING SOON! EMAIL US FOR PRICING AND AVAILABILITY! **MADE IN USA! 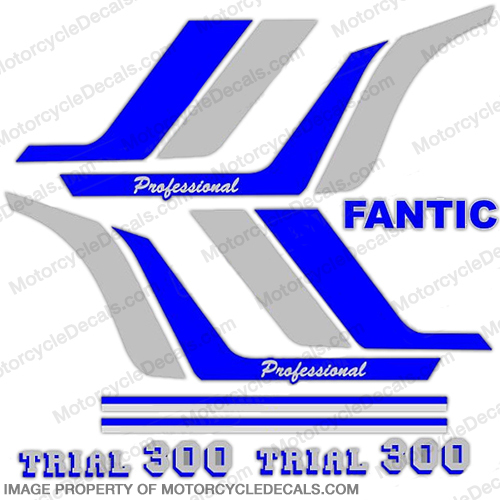 - Reproduction Decal Kit.- Fits the Fantic 300 Trail Bike.- Made from 3M brand vinyl and laminate.- High quality long lasting decals.- 30 Day Money Back Guarantee!- Same day shipping on most orders! We specialize in aftermarket reproductions of discontinued or hard to find decals. **COMING SOON! EMAIL US FOR PRICING AND AVAILABILITY! **MADE IN USA! 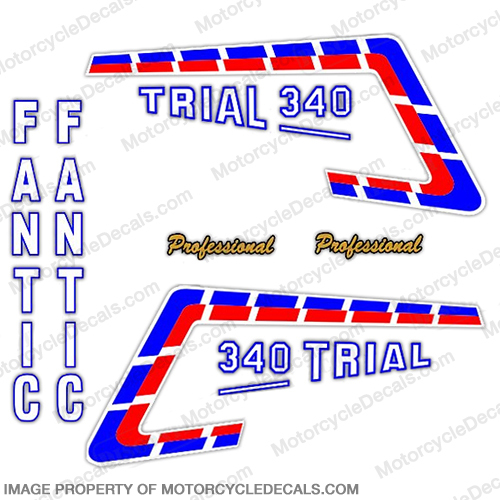 - Reproduction Decal Kit.- Fits the Fantic 340 Trail Bike.- Made from 3M brand vinyl and laminate.- High quality long lasting decals.- 30 Day Money Back Guarantee!- Same day shipping on most orders! We specialize in aftermarket reproductions of discontinued or hard to find decals.